Don’t want to wait? 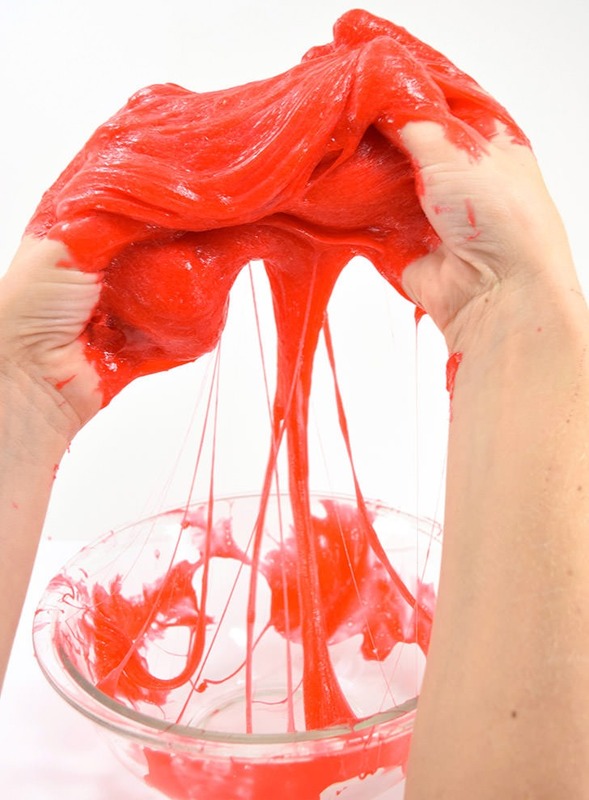 Get the tutorial for Vampire Blood Slime at Mom Spark here! I am SO NOT GONNA LIE… This freaking slime took me an entire day to get right. An ENTIRE DAY. And just in case you need a little bit of cute to break up all of this gore, can you dig Carly in her Howloween Costume? I am so smitten! You can click through up there to my pets’ IG account, Fine Furry Fellows, and see Mr. Ollie as a dapper pirate (and sometimes a sneak peek at a project where I have a cat craft assistant!). According to my sister Ollie is the gentlemen’s pirate and Carly is the foul mouthed, rum swigging kind of pirate and I think she hit the nail on! So I made this business and used up half a gallon of glue in the process. HALF A GALLON. That’s 64 ounces of glue. That’s a freaking Double Gulp of glue hold the ice. Up there is a fail. 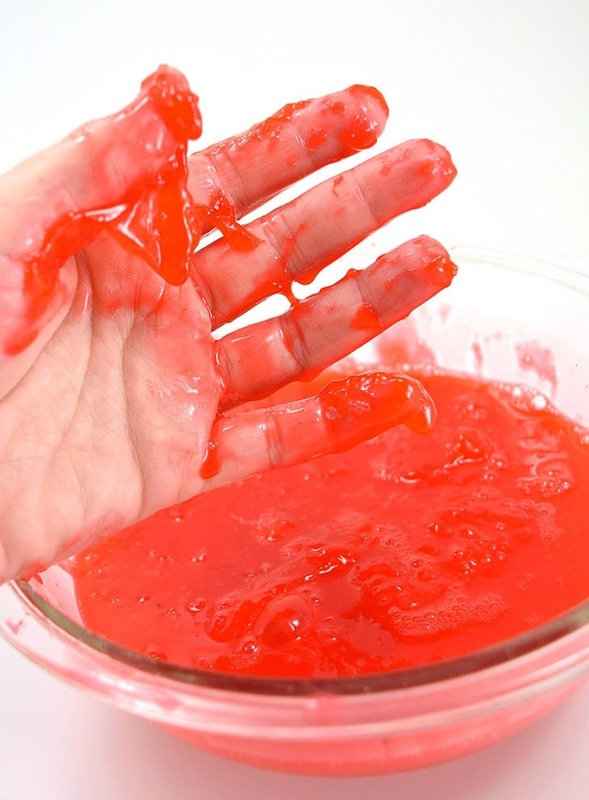 That slime just would NOT come together and, of course, I made a huge batch without doing a test first so it’s my own fault. In the end, this stuff turned out SO GOOD that I yelled for Rob to come in and situate all around me in my light box and take pictures of both my hands in the business as I was kneading it because I just new I was dealing with perfection! And since this kind of achievement deserves a reward, I also made a free printable that works perfectly on these gigantic plastic “test tube” treat holders I got at Michael’s. Now we’ve got some warning labels for the specimens of Count Dracula, Edward Cullen and, my favorite vampire, Eric Northman, among a few others. 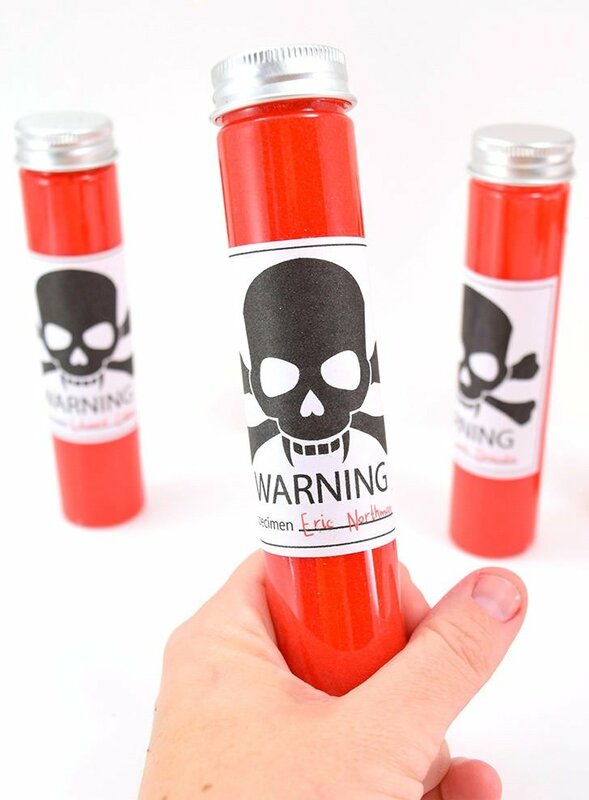 So head on over to Mom Spark to get the recipe for Vampire Blood Slime (hint, hint, it’s not just one kind of glue) and get those freebies for the perfect vials of vampire blood slime out there!